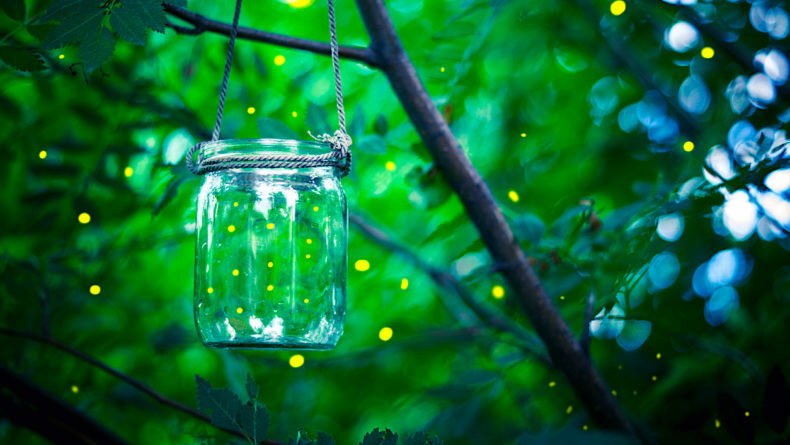 "True love stories never have endings," American writer Richard Bach once said, and no other words could ever describe the essence of Tanabata, one of Japan's most beautiful summer festivals. A romantic legend, the story of Japan's best-known lovers has endured for centuries and this year again, we celebrate romance — on this one very night when love prevails. One of the most famous summer festivals in Japan, Tanabata, usually celebrated on July 7, literally means the “seventh night.” Known as the Star Festival, it is one of the many Japanese festivals originating from China and has been celebrated in Japan since the 700s. Though there are a few variations about the origins of Tanabata, all revolve around two lovers who have to cross galaxies to be with each other only for one single night each year. The legend goes that Orihime (a weaving princess) and Hikoboshi (a cowherd), met and fell truly, madly, deeply in love with each other and eventually tied the knot. But, love — being the only thing on their minds — shifted their attention from work to each other, making them (in the eyes ot the others) lazy and demotivated. Orihime’s father, the king of the heavens, furious at their negligence of other important affairs, separated them, sending the two to the opposite sides of the Milky Way. Orihime became the star Vega and Hikoboshi, the star Altair. Heartbroken Orihime cried her heart out day and night — which didn’t help much in getting her back on track, as her father had hoped. Moved by Orihime’s tears, the king agreed to allow the couple to meet only once a year — on July 7. And that is how Tanabata was born. 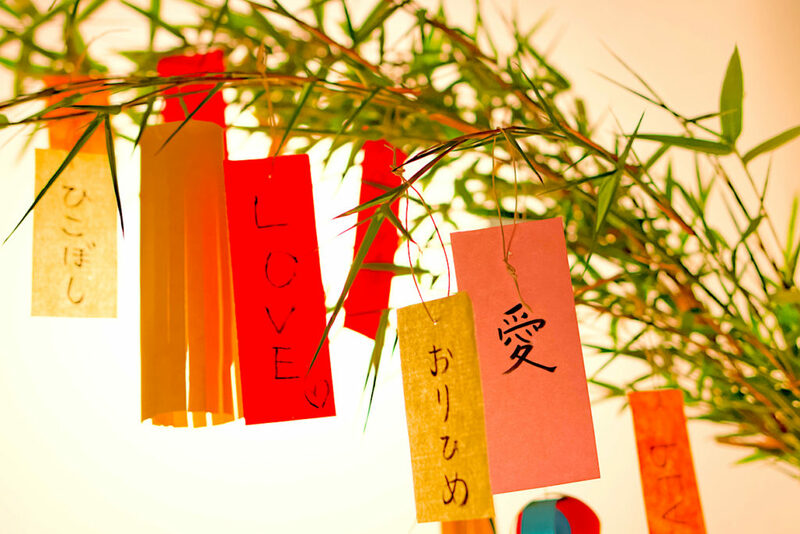 Japanese celebrate Tanabata each July 7 or thereabouts by writing their wishes on colorful pieces of paper and hanging them on bamboo tree branches. 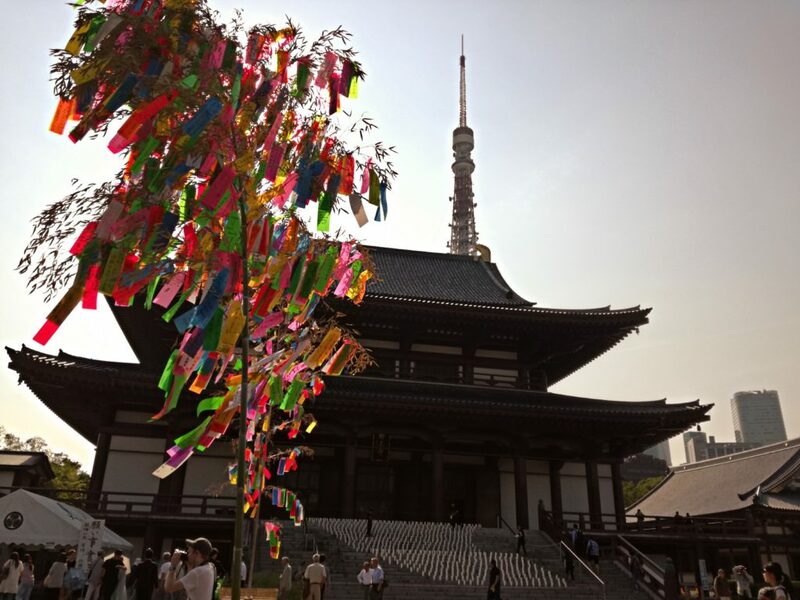 While Tanabata revolves around July 7, the festival is also celebrated in late July or early August in some areas, including some of the following festivals, considered the largest (and most beautiful) Tanabata celebrations in Japan. 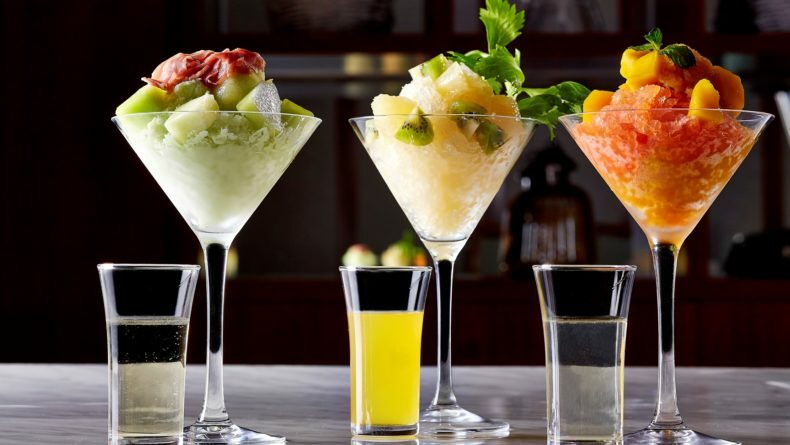 Celebrated for three days between August 6th and 8th, this festival features a variety of events throughout the day and night and is perhaps the most famous Tanabata festival in Japan. Every year, nearly two million tourists flock to see the thousands of wishes and beautiful decorations hung along the shopping arcade, starting from Sendai Station. It’s a spectacular sight and a wonderful opportunity to experience Japan in its brightest and liveliest! This festival, which this year runs on July 6-8, was launched to revive the area after the World War II. More than 500 kinds of decorations — some of them over 50 meters high — adorn the shopping arcade around JR Hiratsuka Station. Parades, street performances — for some reason, dinosaurs, and motor shows, too — will entertain the crowds to their best over the three days. 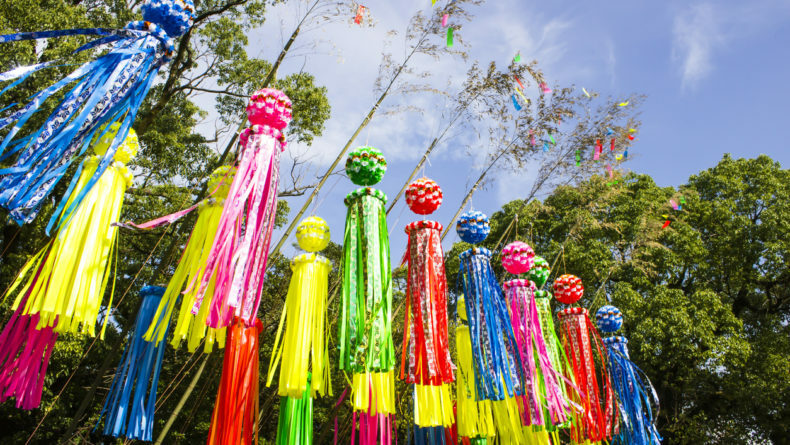 This year held on August 3-5, this popular and picturesque festival boasts one of the longest Tanabata-decorated streets in Japan and is also known for breaking the record of the largest number of “make-a-wish” papers on bamboo branches in the world in 2013. Another popular event is the “make a wish” balloon release, in which participants write their wishes on a balloon instead of a paper strap and release it simultaneously in the air. 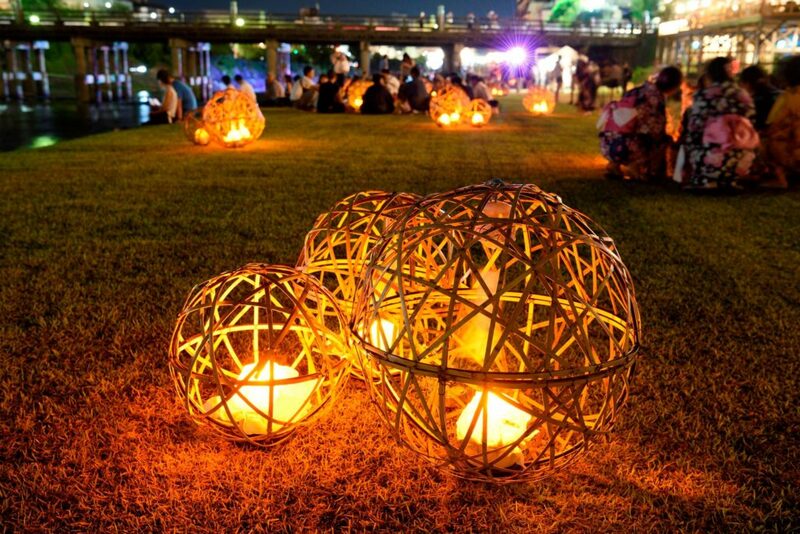 No doubts here, this is one of the most beautiful and romantic summer events you’ll ever see in Japan! Originated in the Muromachi era (1336-1573), this summer night festival lights up over 100,000 paper lanterns, creating one of the most romantic nights one can possibly imagine. Held on August 6th and 7th annually, you’ll also find plenty of food stalls in the evening, accompanied by cheering festival tunes. 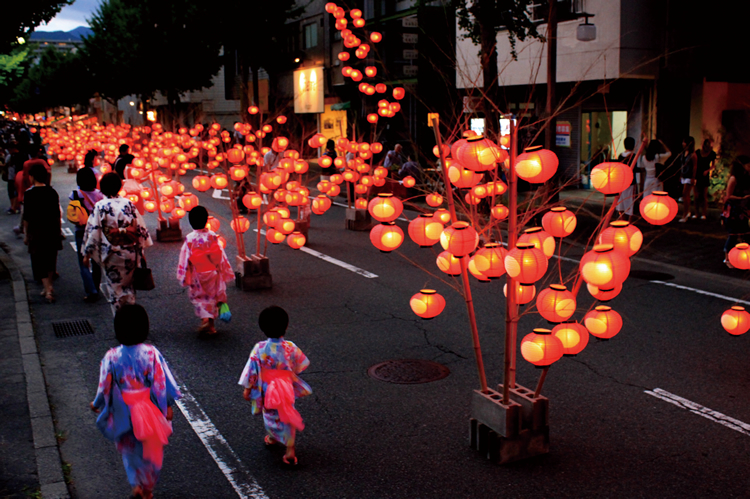 Though held at several locations, most people will be visiting this festival for the Horikawa and Kamogawa spots, characterized by beautifully decorated bamboo branches, lit-up streets, and various Tanabata-inspired exhibitions. Hirokawa has a beautifully illuminated Milky Way-inspired tunnel, while at the Kamogawa site visitors can sit along the river and enjoy the splendid sight of wind chimes, created using traditional Kyoto craftsmanship. The festival is held between August 4-10 (Horikawa and Kamogawa areas), and August 1-15 at Nijo Castle. 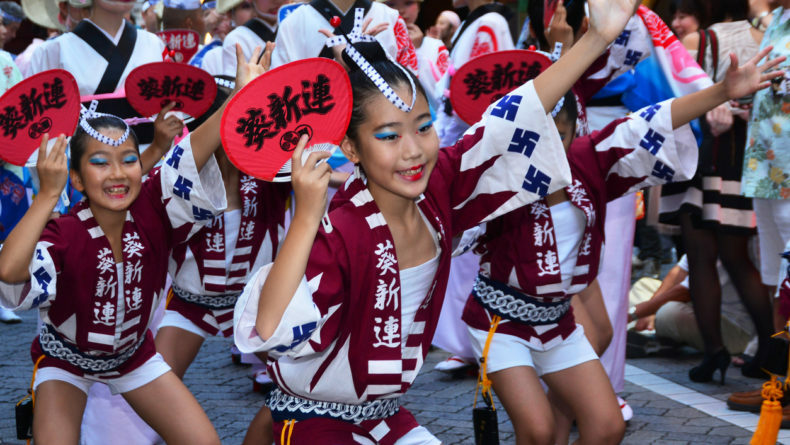 Located near Asakusa, the highlight of the festival is the exciting parade held throughout the weekend. You’ll enjoy the street performances, marching bands, and dance parades. The fun doesn’t end after the parade, though: there will be plenty of food stalls, craft markets, and other festival games. Held this weekend from July 5 until July 9 around the Kappa Bridge main street near Asakusa station. 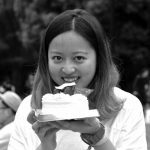 While there are no wild festivals going on here, Zojoji is perhaps one of the best spots in Tokyo to visit this time of the year. There are several giant bamboo branches on which you can write and hang your paper wishes now through the end of the Tanabata weekend. With Tokyo Tower as a backdrop, this is a really beautiful and very Insta-friendly Tanabata spot. There is also a special event, called “Washi Candle Night,” where hundreds of Japanese-paper lanterns will be decorated on the path leading to the Temple in the form of a Milky Way. The candles will be lit on Tanabata, forming the most beautiful and romantic spot. The candle festival is scheduled for July 6-7, from 6 p.m. to 9 p.m. This article was originally published in July 2016 and updated on July 3, 2018.